Academy of the Sacred Heart senior, Abbey Hebert, was named the winner of the SCBWI student writing contest at this year's JambaLAya KidLit Conference 2019. 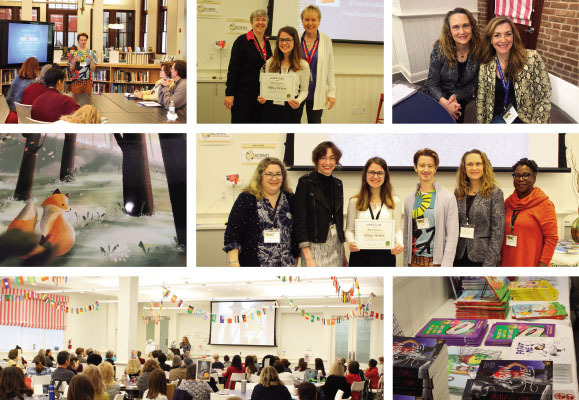 The conference was held at Sacred Heart for the third year on March 23, 2019 with more than 100 writers and illustrators from Louisiana, Mississippi, Texas, Tennessee and Florida. The Society of Children's Book Writers and Illustrators (SCBWI) is an international professional organization with more than 22,000 children’s book members in 50+ countries worldwide. The three-day conference held its full-day Saturday session on the first weekend of spring at Sacred Heart. Conference faculty and speakers were made up of Grace Kendall, senior editor of FSG Books for Young Readers; Jennifer Laughran, senior agent with Andrea Brown Literary Agency; Laurent Linn, art director for Simon & Schuster Books for Young Readers; and several well-known local authors Johnette Downing and Freddi W. Evans. The SCBWI La/Ms annual JambaLAya KidLit Conference was hosted by Sacred Heart and co-sponsored by Octavia Books and AmeriPrint.